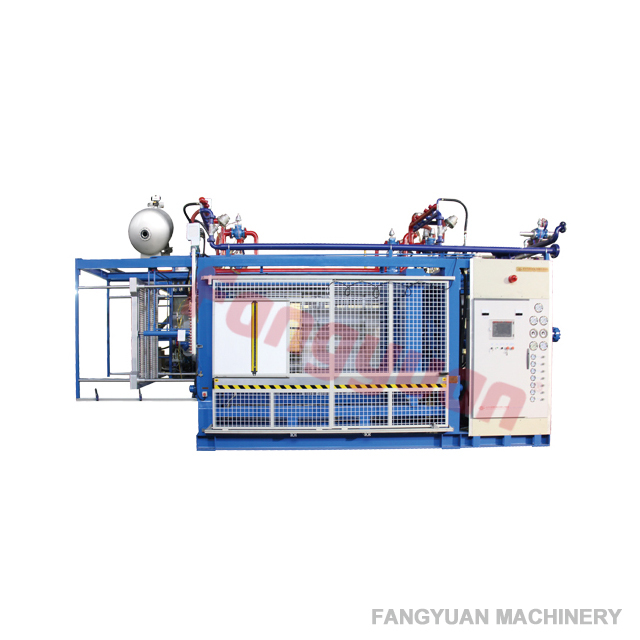 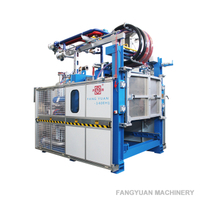 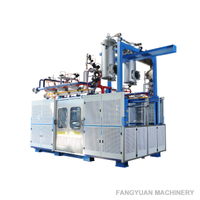 1.With high-rigid structure, thickness of forms in this expanded polystyrene foam machine is 50mm larger than that of forms in ordinary machine, and the diameter is φ85. 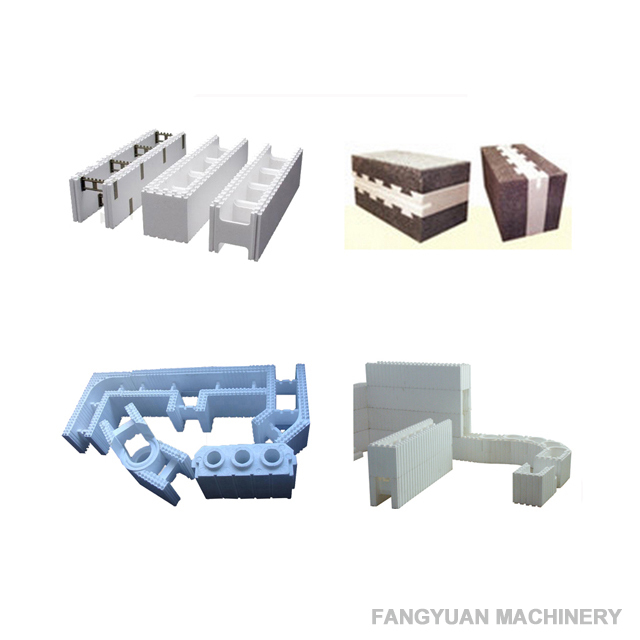 An integrated structure is adopted for the auxiliary load-bearing guide rail, expanded polystyrene foam machine feet and guide rail base are welded to each other, being shaped in single process, resulting in excellent load bearing capacity. 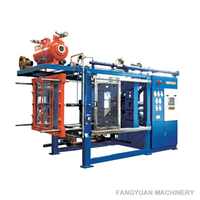 2.With pipeline of larger size, the application of patented impulse steam valve of DN100 flow rate guarantees the speed of heating. 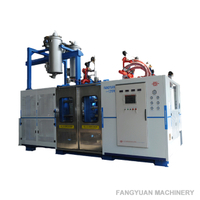 3.Cutting-edge vacuum mode allows products to cool down very quickly, which can reduce water consumption and increase production efficiency. 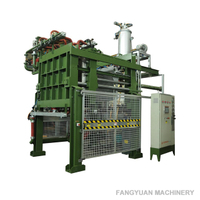 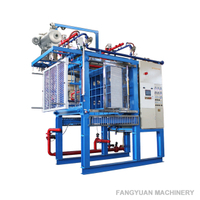 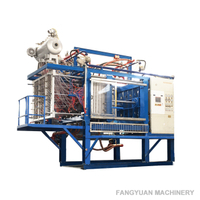 4.Combination of ways of expanded polystyrene foam machine feeding and automatic eps expanded polystyrene feeding increases the speed of materials feeding, and reduces feeding time. 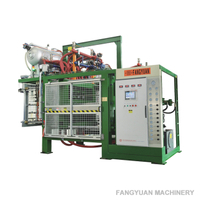 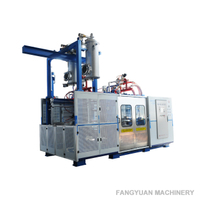 5.Higher running speed of hydraulic system can reduce the time of mechanical operation. 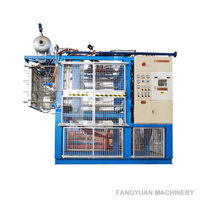 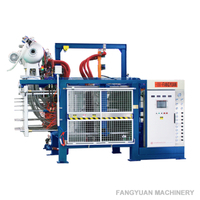 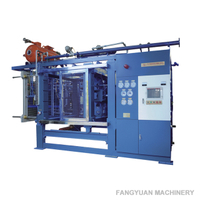 6.The expanded polystyrene foam machine is equipped with photoelectric safety device; when the light curtain is covered, the device sends out light covering signal, which will shut down the equipment with potential risks, and avoid any possible safety accident.